Headpin, copper, 2 inches with 9x5mm beaded head, 22 gauge. Sold per pkg of 10. 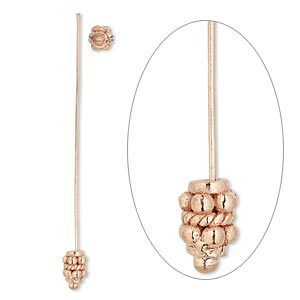 Handmade copper headpins are a jewelry design staple, with a shaped head that adds style down to the smallest detail. Sizes, shapes and colors may vary with handcrafted items. Head pin, copper, 2 inches with 8x6mm flower bead cap, 22 gauge. Sold per pkg of 10. 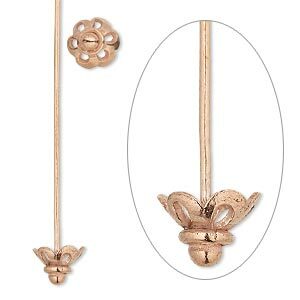 Head pin, copper, 2 inches with 8x6mm flower bead cap, 20 gauge. Sold per pkg of 10. 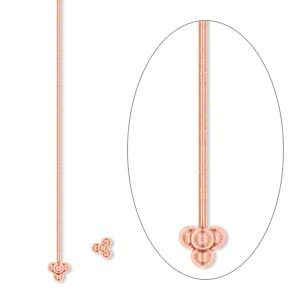 Head pin, copper, 2-1/2 inches with 2mm ball, 22 gauge. Sold per pkg of 30. 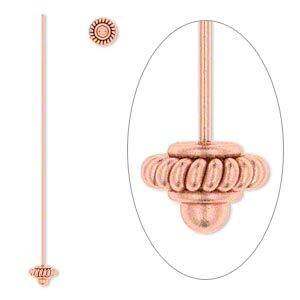 Head pin, copper, 2-1/2 inches with 7mm round twisted wire, 20 gauge. Sold per pkg of 12. 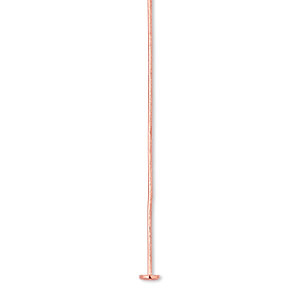 Head pin, copper, 2-1/2 inches with 4mm ball, 22 gauge. Sold per pkg of 12. 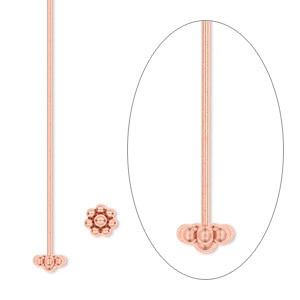 Head pin, copper, 2-1/2 inches with 4mm beaded flower, 20 gauge. Sold per pkg of 24. 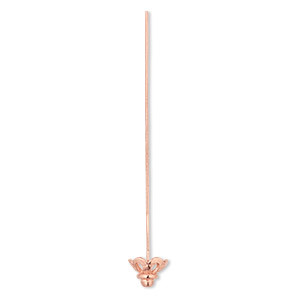 Head pin, copper, 2-1/2 inches with 3mm triangle, 22 gauge. Sold per pkg of 24. Head pin, copper, 2 inches, 21 gauge. Sold per pkg of 100. 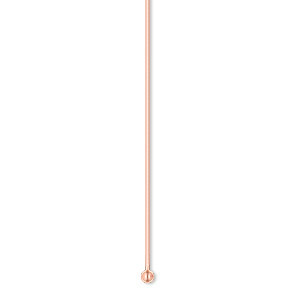 Head pin, copper, 2 inches with 1.5mm ball, 22 gauge. Sold per pkg of 100.